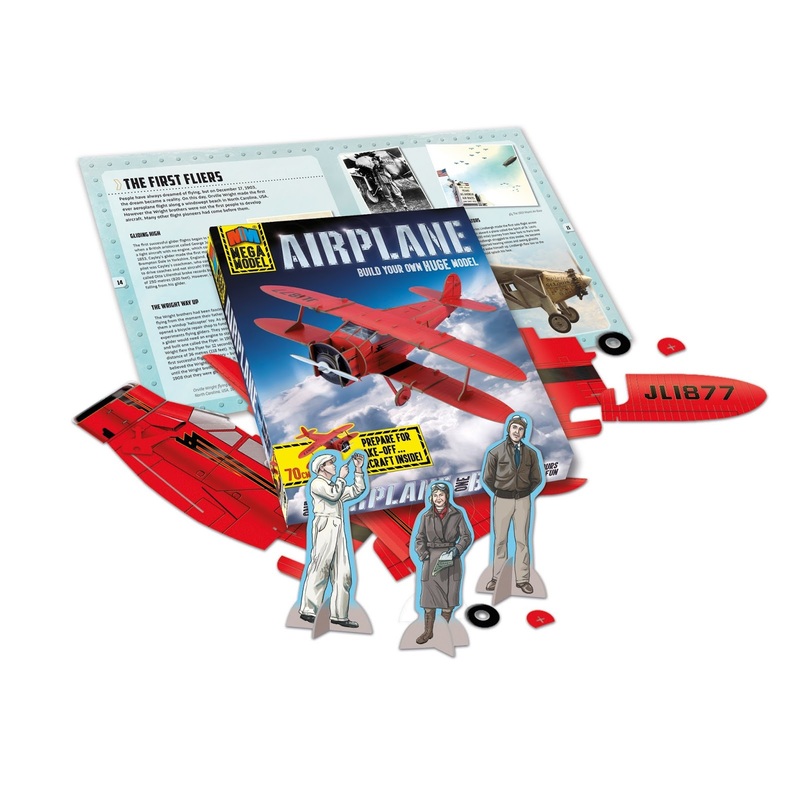 My Three and Me have teamed up with Carlton Books to offer our readers the chance to win a Mega Model Airplane Book (£19.99). Build your very own mega model of a Beechcraft Staggerwing plane! At 58cm long and with a 70cm wingspan, this striking plane is sure to take off with kids who love aircraft. The bright red model is easy to construct without using scissors or glue, or making a mess. The thick model pieces are pressed out of 2mm boards. The set includes a 24-page book filled with fabulous facts about the Beechcraft Staggerwing plane and the history of flying.